Bassist Hugh Hopper was a founding member of the seminal proto-Canterbury group The Wilde Flowers, and was with the legendary band The Soft Machine from almost the very start through till the early 70’s. He was instrumental in pushing their sound away from psychedelic pop towards the new and groundbreaking styles of jazz-fusion that they would become known for. Since then, he’s worked with numerous artists, in various bands and collaborations, mostly in a jazz context, but always with an ear for the innovative and avant-garde. 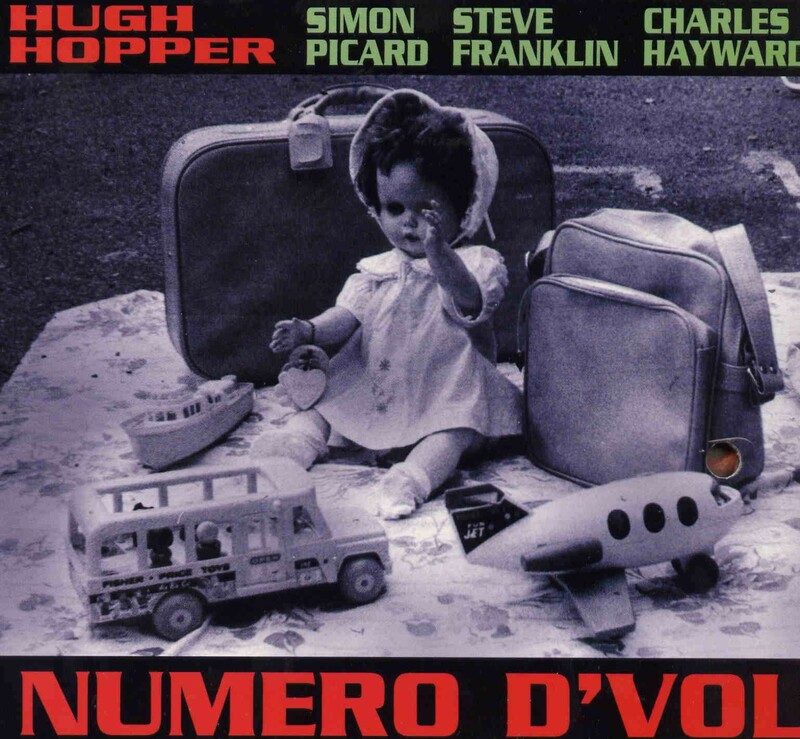 Numero D’Vol finds him teaming up with saxophonist Simon Picard, keyboardist Steve Franklin (playing piano, organ and synth), and drummer Charles Hayward for a set that runs from mellow atmospheric jazz to edgy fusion to completely off-the-wall experiments. The album kicks off with the nearly 10-minute title track, a rich and somewhat spacey exercise in pure jazz. But after that, all bets are off, as the band explores various fusion and avant-garde territories. Tracks like On the Spot and Earwigs Enter utilize buzzing synth stabs and spacey atmospherics with driving rhythm lines. Other tracks evoke eerie, experimental soundscapes, like Get That Tap, which makes use of delay and creepy synths to great effect, and Straight Away, which has a rather freeform rhythm section, with some nice melodic bass from Hopper. Admittedly, there’s often a very 1970’s feel to the proceedings, but that’s certainly not a bad era to evoke, especially when you’re playing experimental free jazz-fusion. But none of it sounds tired or cliché, there’s still a freshness here that is quite palpable, brought on by modern touches such as ambient textures and rock style beats and rhythms. It’s obvious the musicians are all pouring their passion into their playing, as they search a well trodden territory for ground that hasn’t be trod upon before. Occasionally they find it, and you can almost see them grinning at each other when they do, despite the fact that those moments most often occur when the music gets it’s darkest and edgiest. From relaxing, mellow passages to moments of chilling weirdness, Hopper and friends make it all work, providing a truly pleasurable listening experience.